This time last year, we embarked on a sort of The-Alchemist-esque journey with our friends at Matter. It was the perfect alchemy. Matter, as you know, makes “pants to see the world in”. WoW discovers and tells stories of inspiring individuals. Together, we created a #WoWWoman series entitled #JourneyToMe. We wanted to have meaningful and intimate conversations with women about their unique path of self-discovery and self-acceptance; and with that, the power and freedom to be fearlessly and unapologetically who they are. In their stories, we found strength, courage, hope and inspiration. Listening to them gave us goosebumps and, because you, too, loved the series to much, we’ve decided an encore was in order. So here we are, one year later, presenting you part deux of #JourneyToMe. 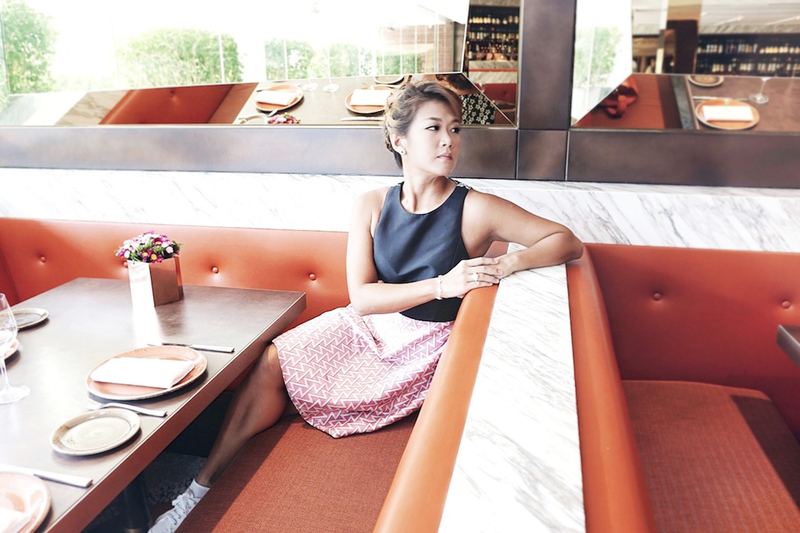 We started the conversation with millennial #Girlboss and social media darling Andrea Chong. Last week, the founder of local swimwear label K.Blu, Lyn Rosmarin, invited us into her home to talk about the road less travelled and the meandering twists and turns along the way before she found success… and herself. This week, we chat with Cheryl Tay, the woman behind the #RockTheNakedTruth movement. Through her own decade-long battle with body-image issues, she found her calling: To help others who have similar struggles with self-esteem overcome their insecurities and face their own worst critic. IN COLLABORATION WITH THE CANARY DIAMOND CO. I GOT TIRED OF GIVING UP ON MYSELF. I GOT TIRED OF WANTING TO BE SOMEONE I’M NOT. Describe who Cheryl Tay is to you. 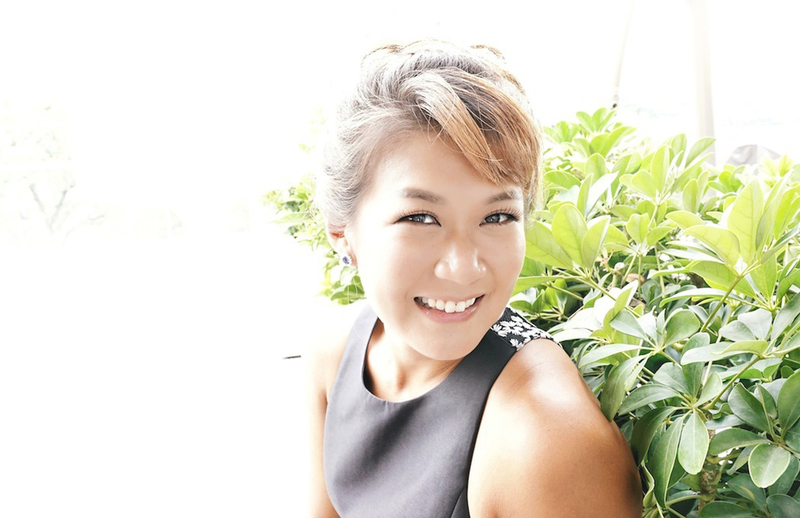 Cheryl Tay: Cheryl Tay is someone who fights fiercely for people and things she believes in, and hopes that everyone will go on to become the best version of themselves. What do you think it really means — or takes — to be “unapologetically you”, especially as a woman? CT: It means not being afraid to wear your heart on your sleeve and show your emotions. It means being unabashedly yourself by doing things that challenge or scare you. It means daring to dream big and chase your dreams endlessly. It means not letting societal stereotypes define you. You started a very meaningful and powerful movement called Rock The Naked Truth. What motivated you to start it? are, and also find the strength to overcome their worst insecurities. You’ve spoken openly about self-acceptance, self-love and your own struggles with your body image. When did you realise you felt that way? CT: After struggling with body image issues for more than 10 years, it was only some time at the end of last year that I felt ready to open up and talk about it. My friends and family have literally watched me go through thick and thin as my weight fluctuated over the years, but no one knew what was actually going on. My self-esteem was tied to my weight. Like an inverse relationship, when my weight dropped, my self-esteem soared, and vice versa. Every time I felt fat, I would cancel my appointments for the day and hide at home. It was only last year that I realised what I was really doing to myself. So what was really going on inside while you were struggling with it all those years? CT: I didn’t like the way I looked and that spiralled into a lot of things. I’d look in the mirror and feel disgusted with myself. I’d look at other prettier and slimmer girls and be jealous of their popularity. I felt resentment for girls who looked good. Because I felt inferior about my looks, I started to think that I didn’t deserve the best things in life, so I started to settle for less. For example, I didn’t dare to speak up when I got bullied at work, and I also ended up in a string of toxic relationships. Did you allow others or society to contribute to how you felt? CT: Yes. I used to screenshot pictures of fitness models and envy them for their abs and never-ending legs. I’d look at friends who are prettier, slimmer and more popular, and wish I were like them. When friends commented that I used to be hotter and prettier, it got to me. I know they didn’t mean it and I shouldn’t take it to heart, but it really affected me. How did you overcome it and eventually learn to accept you for who you are? CT: I got tired of giving up on myself. I got tired of wanting to be someone I’m not. I got tired of feeling defeated in life. I decided that I needed to start practising what I know. It’s always easy to say that we need to love ourselves, we need to be strong and we need to treat ourselves right, but when do we actually do it? I made a decision to stop comparing myself to others. I started to appreciate my uniqueness as an individual. I started to find love everywhere. You need to realise that we only have this one body to live in for the rest of our lives. You can’t change your body, you can’t get a new one, so what else can you do except to treat it with the love and respect it deserves? There’s so much in the world to discover, so much to see, so much to learn, why make yourself suffer and limit yourself? We don’t need to be a certain shape or size to be accepted or awesome. Let go of the toxic things and people in your life, be brave enough to walk away and be your own heroine. CT: Yeah, I thought I had self-love all figured out when I finally accepted my body and founded Rock The Naked Truth in January this year. But a few months ago, I had a rude awakening when someone I loved deeply and believed in let me down in some of the worst ways ever. My self-esteem took a huge beating and I let it make me feel worthless. During the healing process, I realised that I was being an idiot. Why, why did I depend on a guy to feel validated? Why did I attach my self-worth to others’ actions and opinions? True self-love is being able to stand tall not just in good times but especially in bad times. You need to dig deep and find the strength to face your inner demons. You and you only get to decide if you’re good enough. I made a decision to stop comparing myself to others. I started to appreciate my uniqueness as an individual. My mum gave me a ring on my 21st birthday. ‘congrats on becoming an adult’ gift to me. What do you love about you now? CT: I love that I don’t doubt myself anymore, and I’ve adopted a whole new mindset about life. Just get out there and do it, because you will achieve what you put your mind to. What’s there to lose? CT: That you are enough. CT: … constantly pushing my limits and challenging myself. I signed up for my first Ironman 70.3 race four months ago (it’s happening this weekend! ), and it’s funny how I thought I’d never be able to do it because it’s so hard! But here I am, waking up at 3am to cycle by myself, putting in the hours every day to this lifestyle I’m now committed to. What is the surest way for a woman to shine and feel powerful? CT: When she realises how much there is about herself to love. Let’s talk about style — it is after all a form of self-expression. Other than sportswear, what’s your go-to for other occasions? CT: Sporty chic. I like outfits that are casual with a sporty edge so that I can express my style and still feel comfortable. What do you wear when you want to feel good and confident? CT: A pretty pair of sneakers. Do you have an item of jewellery that’s especially precious to you? CT: Yeah, my mum gave me a ring on my 21st birthday. It was my first diamond — not a very big one, but it means a lot to me because it was her “congrats on becoming an adult” gift to me, haha! What would you feel naked without? CT: … my own heroine. The Canary Diamond Co is located at Delfi Orchard #01-12 (402 Orchard Road). To make an appointment, go here.